Known as The City of Palaces, Jaisalmer, a historic Rajasthani city founded by Rajput king Maharawal Jaisal Singh in 1156, is a stunningly beautiful destination to stop off in when visiting north India. 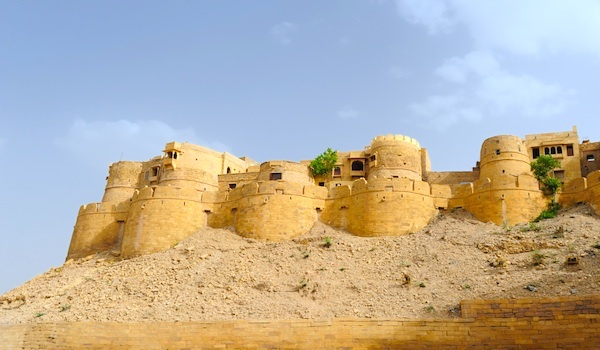 From the city’s finest hotels to its exquisite historical landmarks and top-notch vantage points, we’ve selected top ten things to do in Jaisalmer. 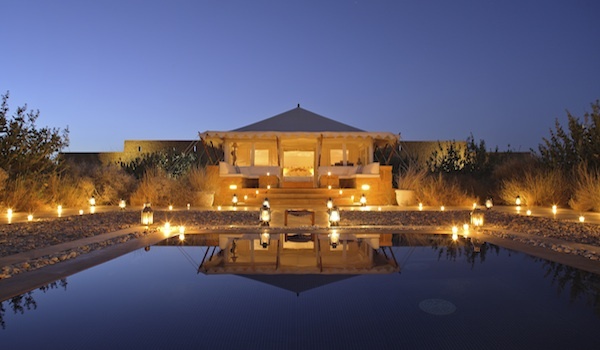 For those looking to stay somewhere a touch more remote when visiting Rajasthan, The Serai luxury camp in the midst of the exotic, rolling sand dunes of the Thar Desert is one of the most memorable hotels in all of India. At night guests can cool off in candlelit, private plunge pools, while the hotel hosts camelback day trips through the golden landscape of the desert. 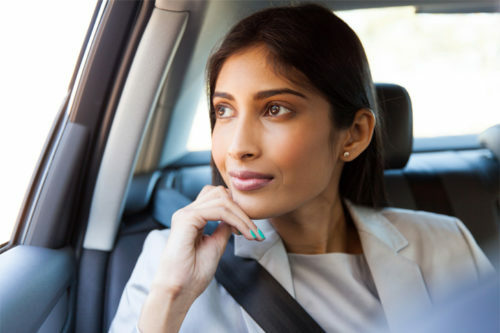 Those interested in the city’s storied history and its many incredible architectural wonders can connect with Mehra Dalton, a Greaves guide and Chairman of the charity Jaisalmer in Jeopardy. Her private viewings bring guests up close and personal with parts of the city that are undergoing renovation. Visitors can even meet the local architects behind the construction. 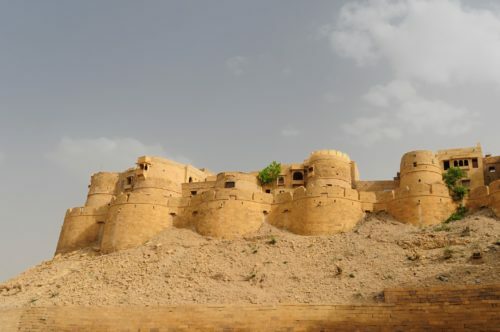 No trip to Jaisalmer would be complete without a tour around its fort, undoubtedly the city’s most fascinating landmark. One of the biggest forts in the world (almost one quarter of Jaisalmer’s populace lives within its walls), the incredible sandstone structure dates back to the very founding of the city. Walking tours show guests around its many fascinating corners, from temples to artisan shops. One of the best-kept secrets in Jaisalmer, the Killa Bhawan Hotel is a petite boutique abode that’s situated right within the fort’s ramparts. Within this unmatched location, the hotel offers richly decorated rooms, done up with sumptuous fabrics and ornate details. The sandstone structure’s three terraces also provide beautiful sunset views. 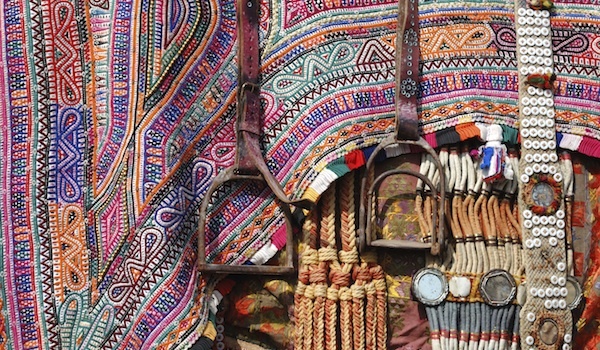 Those looking to bring home an authentic memento from their time in Jaisalmer should stop by the Barmer Embroidery House to pick up an example of the extraordinary embroidery and textiles that the area is known for. Filled to the brim with ornate bedspreads and mirrored fabrics, it’s a veritable treasure trove of beautiful pieces. With some of the best views in Jaisalmer, Hotel Surja‘s rooftop restaurant is the perfect place to enjoy a cup of tea. Located inside the Fort, the rooftop is simply one of the city’s finest places to take a pause and soak up the sights. Rajasthan is home to a number of striking havelis, or historic private mansions. 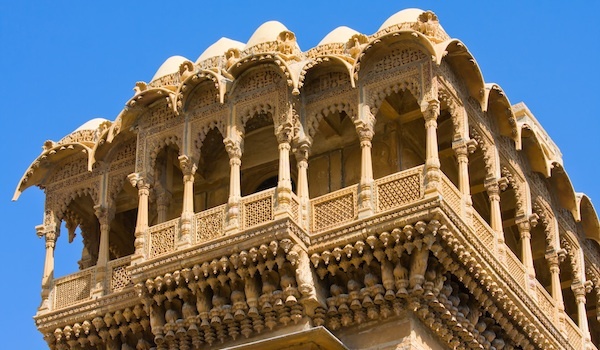 In Jaisalmer, both the Salim Singh Ki Haveli, built in 1815, and the Nathmal Ji Ki Haveli, dating back to the late 19th century, display facades outfitted with arches, carvings, and other finely detailed accents. There are few things more fascinating than a ghost town, and the Kuldhara Abandoned Village, located just outside of Jaisalmer, is at once a beautiful and eerie monument to the past. Only rediscovered in the 1990s, the ruins are infused with local history. 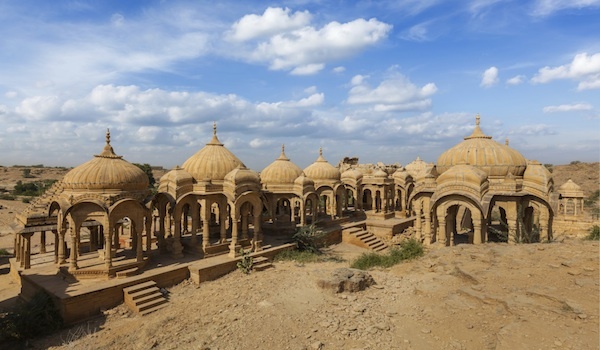 A garden complex on the outlying edge of Jaisalmer, Bada Bagh is home to the cenotaphs of Jaisalmer’s Maharajahs, who were memorialised here beginning in the 18th century. The rows of domed structures form a beautiful tableau against the golden sand and brilliant blue skies of the region. On the road to Jodhpur, the lovely Mihir Garh Hotel is the perfect place to spend the night after departing from Jaisalmer. The boutique hotel, which hosts just nine suites, makes guests comfortable with its private terraces, pools, and courtyards. Jasialmer is included in our Ride the Romantic Desert itinerary a luxury tour of Rajasthan visiting the Thar Desert.